About Operation Bonnet: Twenty-year-old Nellie Monroe has a restless brilliance that makes her a bit of an odd duck. She wants to be a private investigator, even though her tiny hometown offers no hope of clients. Until she meets Amos Shetler, an Amish dropout carrying a torch for the girl he left behind. So Nellie straps on her bonnet and goes undercover to get the dish. But though she’s brainy, Nellie is clueless when it comes to real life and real relationships. Soon she’s alienated her best friend, angered her college professor, and botched her case. 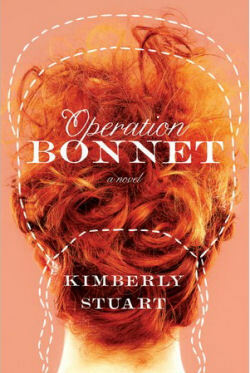 Operation Bonnet is a comedy of errors, a surprising take on love, and a story of grace.